I hope you had a lovely day and got to spend time with the ones you love, and eat until you physically cannot eat anymore – cue the Gaviscon ads on TV this week. This time of year can wreck havoc on my skin, not just from the dip in my diet but also the weather. Everyone is different, but my skin is most sensitive to the cold. I’d say that Winter is the worst season of the year for skin, but it’s probably on par with Summer and UV damage. Either way – here is a routine that I have found to remedy the harsh effects of this chilly time of year. I have been following a skincare routine for the last few months that has completely changed my relationship with my face. I use less foundation and am less embarrassed if I don’t have time to use any at all. Some of the products in this routine I have used religiously for years, but with the combination of some new skincare I got for my birthday – my skin is so much softer, clearer and moisturised. 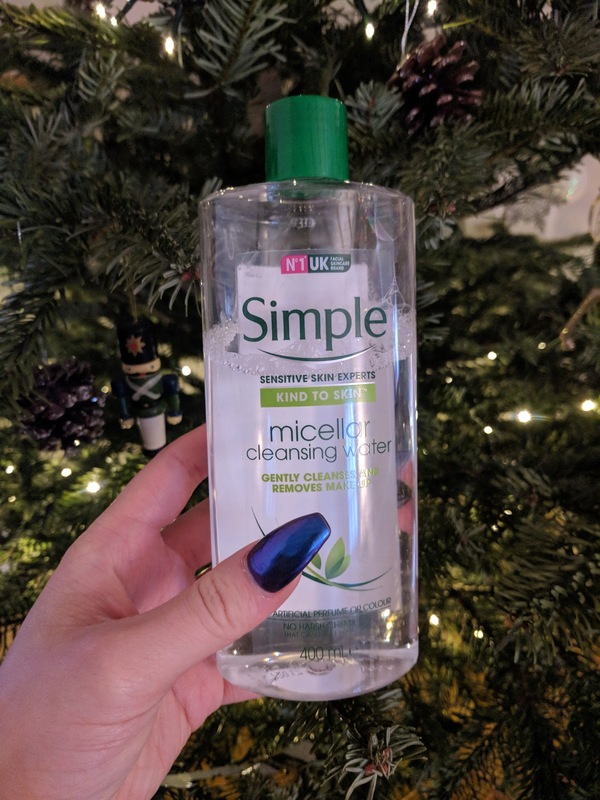 You can use any micellar water really, I just use this to remove any stubborn makeup from my face, with the least amount of rubbing. I find this works really well to remove all traces of mascara – and especially for this time of year – dark lipsticks on dry lips. This product is great to remove all makeup, but I don’t find it does much in the way of cleansing, hence I use further products. I buy the 400ml bottle which is around £7, which is much cheaper than any branded makeup remover I’ve tried which are always too oily or harsh. This bottle will last me a few months on average. This is the star of my skin routine. I have used this for a couple of years now, and I don’t imagine I will ever drop it from my routine. My stepmum first told me about it, and at first I was hesitant and thought it would be too gentle to do anything – and I had never heard of the brand before – but I gave it a go and haven’t looked back. This year it has really grown as a brand I feel, and there are far more stands for Liz Earle around, in Boots for example. It’s £16 for a 100ml pump starter kit which will last me a few months (apparently the pump yields exactly 66 applications), the starter kit comes with a pure cotton cloth, which you can be laundered as normal. You apply the cream all over your face, over the top of your makeup and then rinse the cloth in hot water. Then you use the cloth to remove the cleanser in gentle circular motions to exfoliate and remove makeup. I could really go on and on about this product – I buy it for my friends and recommend it to everyone. I only ever get bad skin if I have neglected to cleanse my face with this product for a few days. I would use this product in the morning and in the evening. It has 125 skincare awards, is not tested on animals and contains naturally active ingredients; rosemary, chamomile, cocoa butter and eucalyptus essential oil. 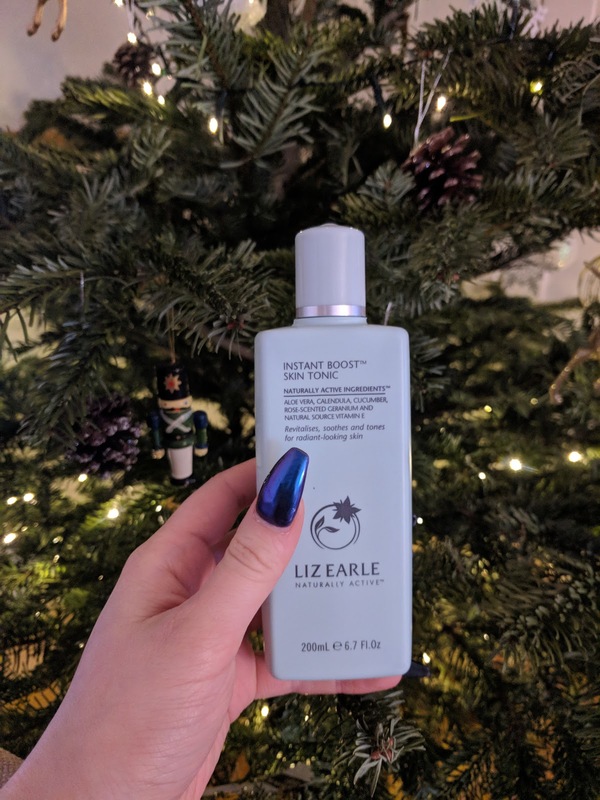 This is the next step in the Liz Earle routine, you take a cotton pad and wipe the tonic over your face, which leaves it feeling really fresh – it smells great too. It is £15 for a 200ml bottle, and you need only use it sparingly, a little goes a long way. Again it is not tested on animals and it has naturally active ingredients; aloe vera, calendula, cucumber rose-scented geranium and natural source vitamin E.
Out of all of the steps I would not say this one is the most essential, it is just nice to use to freshen your face instead of water during the day (you can also use the Liz Earle Instant Boost Skin Tonic Spritzer which is £15 for 200ml or £6.50 for the 30ml travel sze, which is great to take on holiday if you go somewhere hot and want to freshen up). I also find it cools my skin down after exfoliation and removes any lingering traces of makeup. This is a new product that I have heard great reviews about and now I understand why. I have been using it ever since I received it as a gift for my birthday in November, and it has made the biggest difference for my skin. Before, I only did steps one to three, and then moisturised with a Liz Earle moisturiser, which I felt didn’t do much for my skin at all. 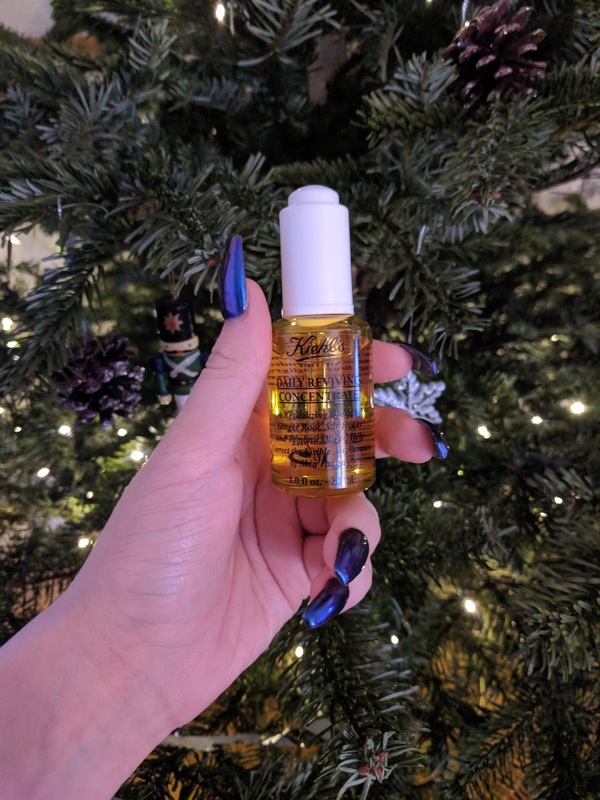 This is a lightweight dry facial oil that keeps my skin hydrated all day – I touch my face a lot, and even by the end of a working day I can still feel the moisture on my skin. 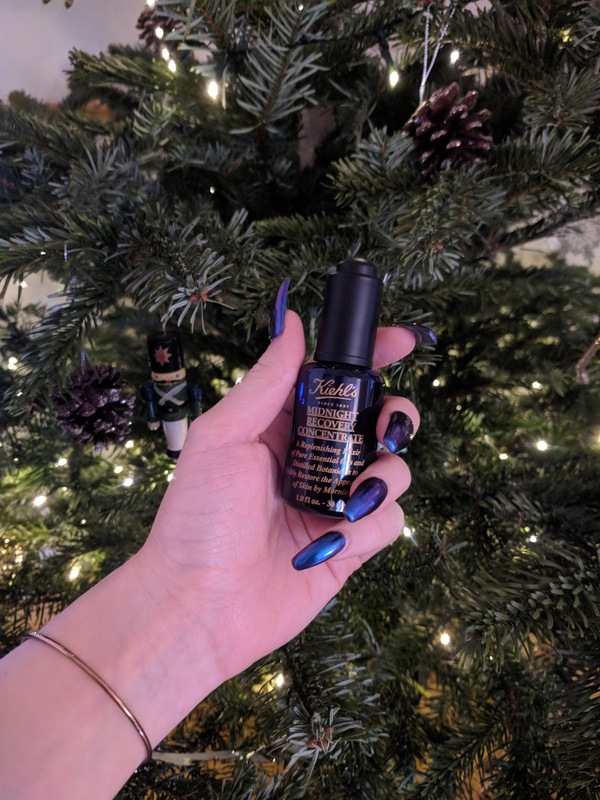 I apply three drops from the bottle and warm it up in my hands before patting it firmly into my skin avoiding the eye area – you don’t rub this one in. I would recommend going into a Kiehl’s shop and having a chat with them first before using the product. They first do a test to ascertain your skin type (mine is combination dry/oily) and then they recommend suitable products and show you how to use them properly. 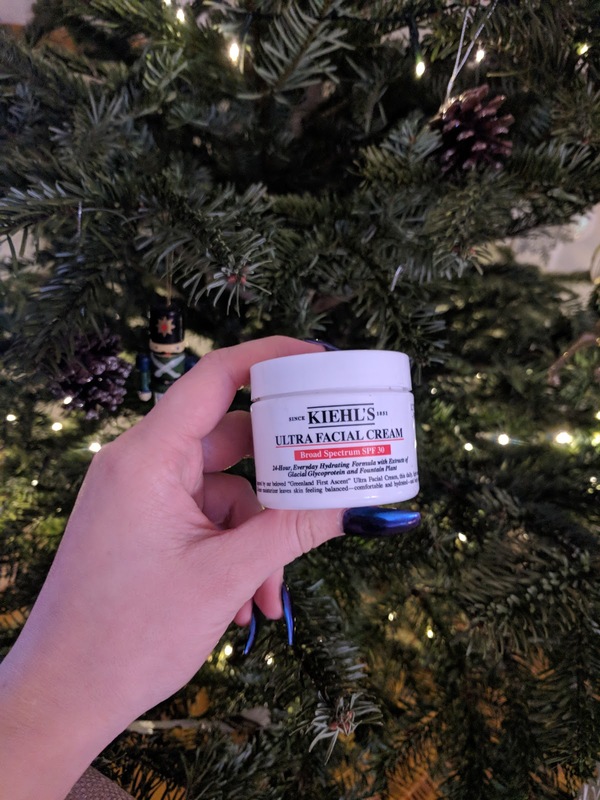 I love this because they are really passionate and tell you all about the Kiehl’s apothecary history and the benefits of all of the ingredients within the products. This is a more expensive luxury product, but you use so little I doubt I will need to buy more than two of this product a year. I only use this one in my morning skin routine. Strengthens skin’s defences against daily aggressors to keep skin youthful and radiant-looking all day. Provides antioxidant protection with a powerful blend of naturally-derived oils, including Ginger Root, Sunflower and Tamanu, to help skin feel fresh and look energized morning to night. It is £39.60 for a 50ml bottle and £30.40 for a 30ml bottle. I have the 30ml bottle and it will last for ages. This oil works really well before foundation, it helps it go on must smoother and gives a more dewy look. Watch the Kiehl’s video to learn a little more about it – it really has been a miracle product for me. 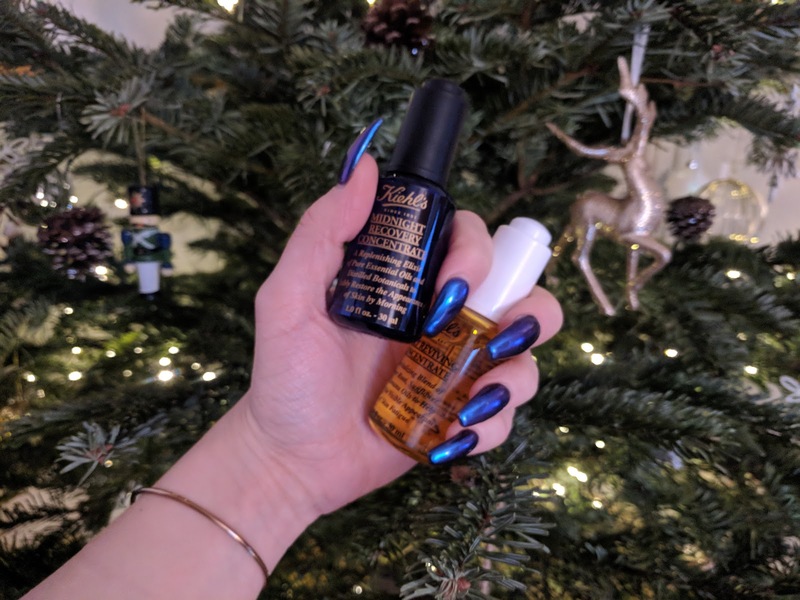 In the evening, in place of the Daily Reviving Concentrate, I use the Midnight Recovery Concentrate which is £30.40 for 30ml, £39.60 for 50ml and £76.00 for 100ml. This one smells gorgeous, and is really nice to put on at bedtime – I don’t follow this one with step five. This product is applied in the same way as the Daily Reviving Concentrate as well. Kiehl’s describe this as ‘A replenishing nighttime facial oil with distilled botanicals that visibly restores the appearance of skin by morning.’ It really does just that. When you wake up your skin feels fresher and more ready to accept makeup, it doesn’t feel like your skin is going to act like a sponge to your foundation. These oils have made my skin feel really fresh, hydrated and my skin tone is evening out. Kiehl’s does not test on animals. I use this one in the morning, and I only use the tiniest amount, no more than the size of a pea. After applying the oil, the moisturiser goes on really smoothly and goes a long way – I avoid the eye area with this one. This product is £19.60 for 50ml and £36 for 125ml. Following these five steps, I would then only apply UV protection during summer, but a lot of foundations have this built in – and also this Kiehl’s Ultra Facial Cream has SPF 30. They are the five steps that have given me confidence with my skin. I have wasted money on other products that have been too harsh and achieved nothing, so I am really happy to share some products that make a real difference, have naturally active ingredients and don’t test on animals. 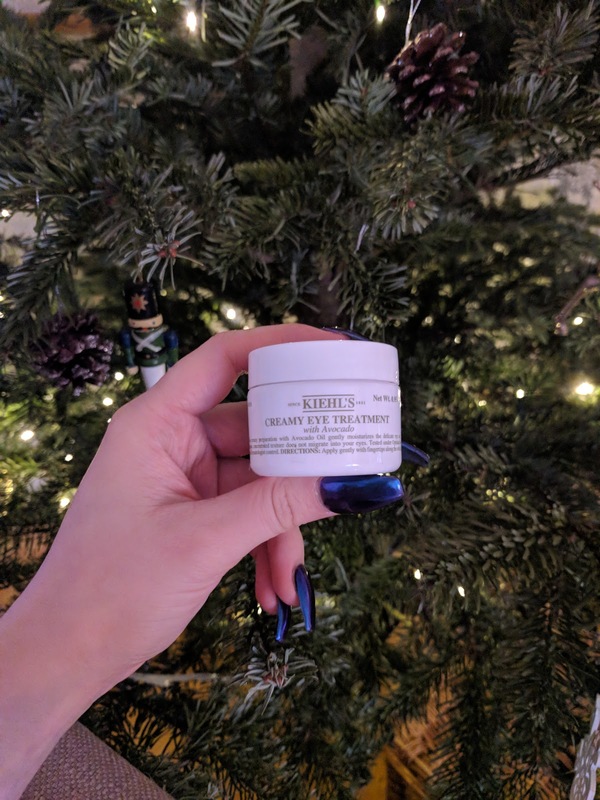 Lastly, for Christmas I was given the Kiehl’s Creamy Eye Treatment with Avacado which I am excited to try out as none of the products above moisturise the eye area. 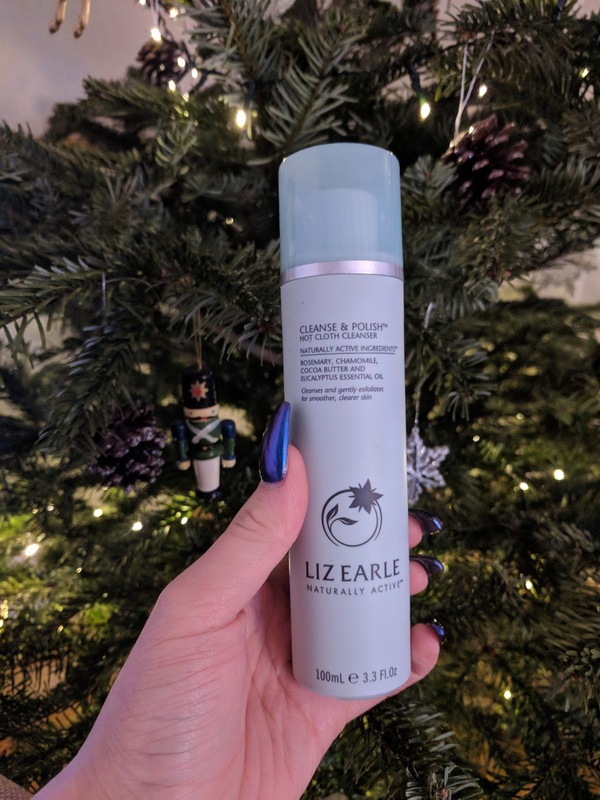 Look out for the limited editions of these staple products from both Liz Earle and Kiehl’s – they have really cool designs on their packaging, and Liz Earle release their Liz Earle Cleanse & Polish Hot Cloth Cleanser with a different featured natural fragrance or essential oil throughout the year. I hope you love all these products as much as I do!